This title will be released on September 1, 2016. Inspired by the author’s experiences with his own son, A Boy Made of Blocks is an astonishingly authentic story of love, family and autism. I found this such an absorbing read. Sam has autism and it is how he copes with it but also how his family cope with it. I didn’t really know too much about autism until I read this book, this book is very informative.I loved how minecraft helped Sam come out of his shell.This is a story about grief, anger, regret, guilt and love. I would recommend this book to people who would like to understand children with autism. I would like to thank lovereading for sending me an advanced copy of this book. Kate has only planned a flying visit to clear out the family home after the death of her mother. When she finds an anonymous letter, she is drawn back into her own past. Single dad Sam is juggling his deli and two lively teenagers, so romance is the last thing on his mind. 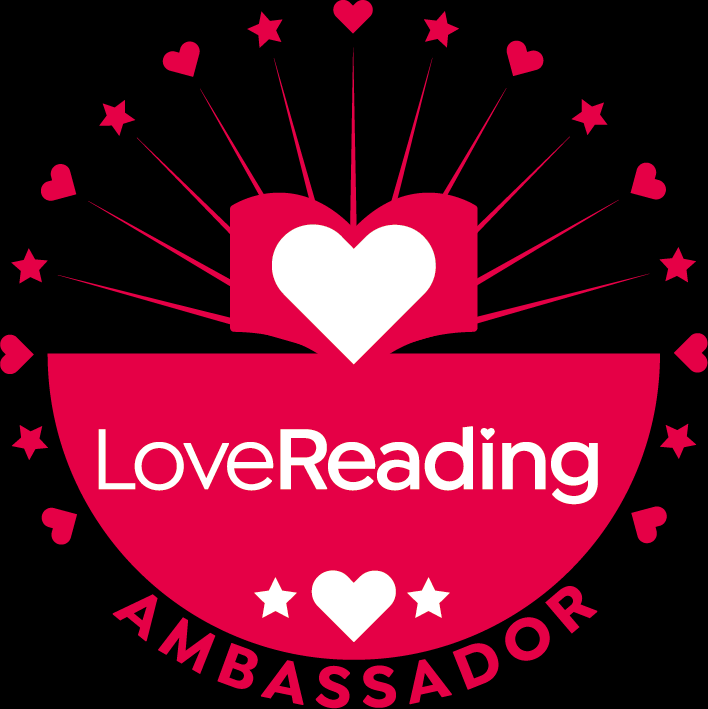 Then Cupid fires an unexpected arrow – but what will his children think? Nathan Fisher is happy with his lot, running picnic cruises up and down the river, but kissing the widow of the richest man in Pennfleet has disastrous consequences. Vanessa knows what she has done is unseemly for a widow, but it’s the most fun she’s had for years. Must she always be on her best behaviour? I have now read quite a few of Veronica Henry’s books and loved them, this one was just as good. There are lots of interesting main characters and when I first started the book and read about Kate and Vanessa I felt drawn to them and cared for them. 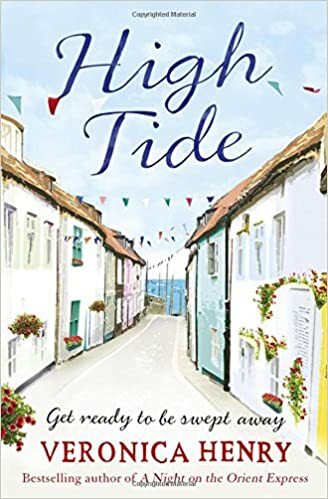 Veronica brings the small Cornish town to life with her beautiful descriptions you can almost imagine you are there. There are four main characters really including Vanessa, Kate, Sam and Nathan and I loved going on each and every one of their journey and finding out more about them, I really recommend reading this book and I love the way Veronica Henry’s books make you feel. Such a good read. This title will be released on November 19, 2015. What if your first love was your only love? When Molly is diagnosed with a life changing illness, it feels like her whole world has come crashing down. She hopes the news will make her marriage to Sam stronger. But why does Molly always call best friend Ed in a crisis? Ed. The very same Ed that Molly fell in love with at a party when they were teenagers, underneath a star-filled sky. Then life took them in very different directions. They could only ever be friends. I was lucky enough to get an advanced copy of this book for an honest review. I have not read any of Ella Harper’s books before but I really enjoyed this one. I knew from reading the back it would be a weepy kind of read and it was but it also had a love story to go with it. I found I warmed alot to Molly the main character and I did feel sorry for what she had to go through with her life changing illness. I really didn’t like her husband Sam what a coward, I couldn’t believe some of the stuff he said to Molly. Even though it kept on flitting between the different characters and the past and present it was easy to work out what was going on. Apart from Sam I liked all the characters, this is a emotional story but also one to make you stop and think. Lots of twists and turns made for a perfect read. Federica Campione adores her father. No matter that Ramon, a distinguished traveller and writer, spends months away from their home on the exotic Chilean coast; as soon as he’s back, his daughter has eyes for no one but him. When he gives her a magical box from Peru she believes he will always be there for her. As she grows to womanhood, Federica attempts to recapture that long-forgotten sense of security in the arms of the debonair Torquil Jensen. From the sanctuary of a seemingly perfect marriage, she embarks on a painful journey of self-discovery. 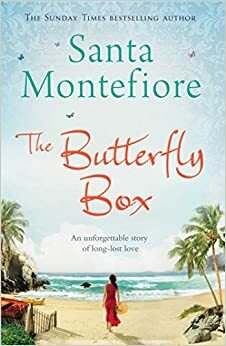 But can Federica ever truly escape her gilded cage and learn the true lesson of the butterfly box? This book was given to me for Christmas, having never read any of Santa Montefiore’s books before I wasn’t sure what to expect. I have seen some good reviews about this book so thought I would give it a try. I have to say I read it in a few days but I was utterly enthralled by it. Santa has unfolded the story with beautiful settings and the characters were written with so much detail. I have even decided to treat myself to one of Santa’s other books.